Amazing!! I absolutely loved everything about this trilogy and frankly I’m not always so thrilled about reading them because they are so lengthy and two and/or three are never as good as the first. Not to mention, I think they are often long-winded and could be finished up a lot quicker. I actually read The Girl with the Dragon Tattoo in French. I’d gone to a French bookstore and was looking for somethng completely different to read. This was a long time before the books were released in the US. I read it and liked it, but then reread it in English and liked it even more. I quickly bought The Girl who Played with Fire and devoured it in 4 days. My husband had started reading them and got all the way to The Girl who Kicked the Hornets’ Nest; so, I took a break and let him read it. Unfortunately, I didn’t get a chance to finish the trilogy until yesterday, over a year later. It took me about 8 days to read not because it wasn’t good, but because my busy teaching schedule got the best of me last week. 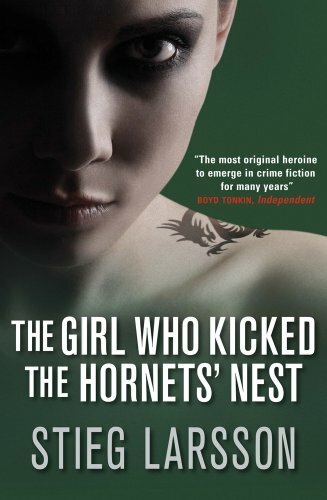 The Girl who Kicked the Hornets’ Nest is 743 pages, of pure excitement. I thought my favorite book was going to be #2 and then #1 but in fact, it’s #2, #3, and then #1. I hated having to put down #3 to go and do other things. I just wanted to know what wa going to happen next. Fabulous! I’m not an unconditional fan of detective novels. I started to read this and was completely won over by the complexity of the story, the character analysis, the mood, and the underlying Scandinavian culture that runs as a constant denominator through the entire trilogy. It’s cold, hard, and dark. The last book wraps up all those loose ends but takes you through all the details and clues as if you were reading in reverse. I tell you I was glued to the very last page. It’s exciting and you want to know what’s going to happen to Lisbeth Salander and her enemies. There are some surprising scenes but I won’t be doing any spoilers here so no worries. It’s funny how these books seem to have won over millions of readers (about 20 million readers in 41 countries), but on the other hand there are some readers who couldn’t get past page 100 of The Girl with the Dragon Tattoo. All those in this case have said the same thing. They thought it was too violent and couldn’t get into it. They said it seemed to be a man’s book. Funny, I thought it was a woman’s book. I found interesting the quotes, statistics, and information given between the chapters about women. The main character is Lisbeth Salander. She’s young, highly intelligent, anti-social, a fighter, a computer hacker, and fierce when she needs to be and this thriller trilogy is about her. 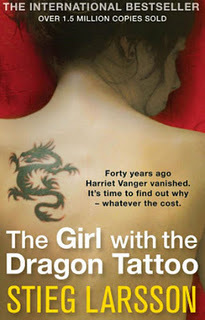 The Girl with the Dragon Tattoo is just the beginning of a long saga of conspiracy, mystery, violence, computer hacking, politics, and of course plenty of intrigue. There is also a strong nazism theme that runs through this trilogy, which was very lightly touched on in the Swedish film from May 2009, directed by Niels Arden Oplev. As it turns out The Girl with the Dragon Tattoo, the American version directed by David Fincher starring Daniel Craig and Rooney Mara, opened in French theaters three weeks ago. I had the pleasure of seeing it in original version. NO!!! I can’t bear watching English/American movies dubbed in French anymore. It just goes against the grain. I feel as if though I’m missing out on an inside joke. Indeed, it was an interesting adaptation of Millenium because Fincher has a way with filming dark and difficult situations. It’s Hollywoodian, at its best and well worth seeing. Rooney Mara’s performance was staggering and Daniel Craig made an excellent Blomkvist. Physically, he’s what you would like to imagine for the character of Blomkvist when you see how many women he jumps into bed with. I can’t wait to see what Fincher will do with the sequels. Stieg Larsson was a genius because he revolutionized the detective novel with the Millenium trilogy, although I don’t think that was his intention. Ultimately, I think he wanted to show the influence of extremism on Sweden as well as the complexities of govenment dealings and how it can effect society. He unfortunately died of a heart attack in November of 2004 at the age of 50, when his trilogy was published posthumously. He was a writer and journalist, who spent a lot of time researching and fighting against nazism and right-wing extremism. As time went on, Larsson became an expert on right-wing extremism and gave lectures to Scotland Yard and wrote many articles on the subject. He was the driving force behind an organization called Expo Foundation. The Expo Foundation is a privately owned research foundation which aims to study, map, and fight anti-democratic, right-wing extremist and racist tendencies in Sweden and in Scandinavia. It was founded in 1995. I guess you could say Larsson was writing about what he had fought against for years. 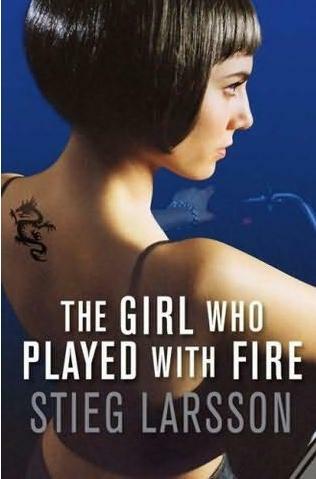 It’s really a shame this genre of literature won’t have the possibility to continue with Stieg Larsson, but his commitment to this particular subject gave him the insight and knowledge to write such an important work. Maybe someone else will take on this style of detective novel or even try to improve on it. I wish them luck. They’ve got their work cut out for them. Only time will tell…. Check out the link below to watch the trailer for David Fincher’s version of The Girl with the Dragon Tattoo! 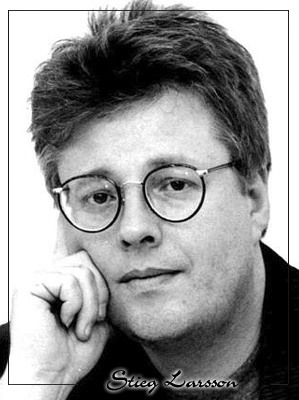 For French speakers listen to the link below for more interesting information about Stieg Larsson.